When discussing the great hip-hop producers of all time, Timbaland cannot go without mention. The ultra-talented artist known best for his hip-hop and R&B production has made countless hits, including Justin Timberlake’s 2006 album “FutureSex/LoveSounds”. The album sold more than 10 million copies and featured hugely popular songs in “SexyBack”, “My Love”, and “What Goes Around… Comes Around”. Since beginning his career in 1990, the Norfolk, Virginia-native has collaborated with almost every artist imaginable. 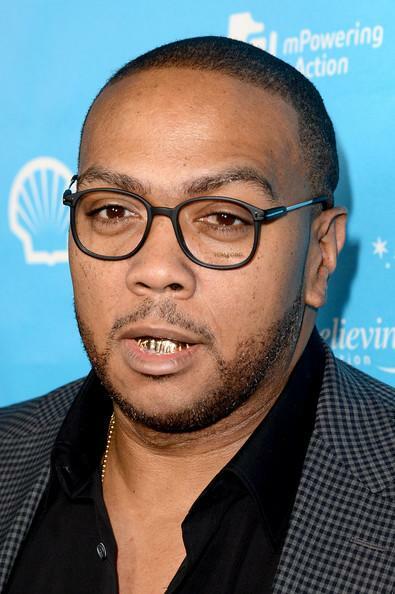 The long list of artists for which Timbaland has produced for includes the late Aaliyah, whom he had a close relationship with, Missy Elliot, Boyz II Men, Janet Jackson, Usher, Jay-Z, Method Man, Nas, The LOX, Eminem, Ludacris, Snoop Dogg, Jadakiss, Nelly Furtado, Fabolous, Bubba Sparxxx, Destiny’s Child, Lil’ Kim, Game, Fat Joe, Ray J, Jennifer Lopez, Jamie Foxx, Diddy, Busta Rhymes, Rihanna, 50 Cent, Kanye West, Mariah Carey, Twista, T.I., Drake, Lil Wayne, DJ Khaled, and many, many more big-name artists. In 2013 alone, he produced for Jay-Z’s “Magna Carta… Holy Grail” album and Beyoncé’s “Beyoncé”, and numerous others. He has released three of his own studio-albums which feature other artists but also his own vocals. His 2007 album “Shock Value” certified platinum in the US and several other countries. In 2013, Timbaland signed to Roc Nation. In terms of his own music, he recently announced that he is working on a project with unreleased music from the late Michael Jackson. He is also working on his fourth studio-album titled “Textbook Timbo”, and in November 2013 he announced the first single called “Know Bout Me” featuring Drake, Jay-Z, and James Fauntleroy. An official release date has yet to be announced, but expect at least one project from Timbaland in 2014, and quite possibly more than one. He built his own recording studio in Virginia Beach called Thomas Crown studio. He was partially paralyzed for nine months at age fifteen after being accidentally shot by a co-worker at Red Lobster. He is the older brother of rapper Sebastian. He is part of the rap duo Timbaland & Magoo, along with fellow Norfolk-native Magoo, and they have released five albums. 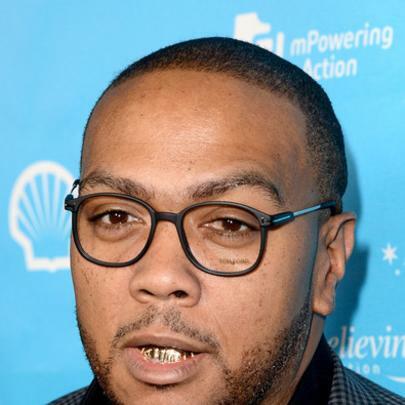 Timbaland Previews New Jay Z Track "Bounce"
Rick Ross Is "Disappointed" That Timbaland Leaked Tink's Version Of "Movin Bass"
Review: Rick Ross' "Hood Billionaire"